Uda Pussellawa, also spelt Uda Pussallawa or Udapussallawa or Udupussellawa, is the name of both a village and a region. The name of the largest (though still small) town in this region is Ragala, located 6 km west of Uda Pussellawa village, as the crow flies. Uda Pussallawa is also the name of a mountain range and a valley stretching from Pidurutalagala, Sri Lanka’s highest peak, to the east. Uda Pussallawa mountain range forms the northern edge of the Uva Bassin, the opposite southern barrier of which is the Namunukula Range near Ella and Badulla. The Uda Pussellawa valley is thinly populated and almost entirely dedicated to tea production. Uda Pussellawa is the smallest and least known of Sri Lanka’s seven tea regions, it includes the sub-districts of Maturata, Ragala and Halgranoya. 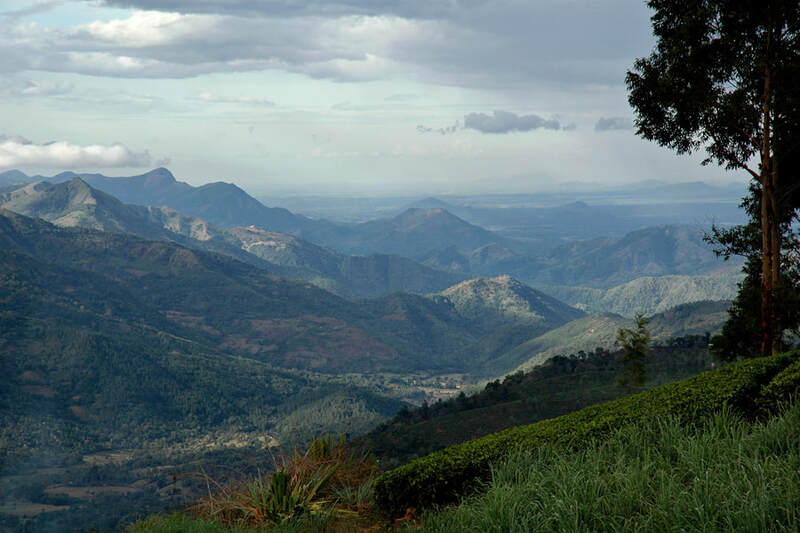 The altitudes are typical of high-grown teas, though slightly lower than those of the neighbouring Nuwara Eliya tea region at the other side of the central mountain range. Uda Pussellawa’s elevations between 950 m near Uda Pussellawa village and 1.600 m near Hakgala are indeed perfect for growing highland tea. Though tea can be plucked throughout the year, each region has it’s specific high-quality season due to specific climate conditions. Main tea season in Uda Pussellawa is from June till September and a second main season is from January to March. Due to its location, the climatic conditions of Uda Pussallawa differ significantly from those of plantation of Nuwara Eliya and Dimbula. Like the Uva tea region, Uda Pussalawa receives the bulk of its precipitation from the northeast monsoon between November and January, but in contrast to Uva, it is also affected by the main monsoon. That’s why Uda Pussellawa enjoys not one but two peak seasons. The Uda Pussellawa tea is similar to that of Nuwara Eliya, but darker in the cup and of greater strength. In the tea-expert’s jargon, Uda Pussellawa tea is “exquisitely tangy”. Ragala in the centre of the Uda Pussellawa tea region can be reached by B413 road from the Kandy tea region via Walapane, by B332 road from Nuwara Eliya via Kandapola and by B648 from the Uva region. All three very scenic mountain roads are usually not frequented by tourists. The former Uda Pussellawa Railway (UPR) from Nanu Oya near Nuwara Eliya to Ragala for transporting Uda Pussalawa tea to the port of Colombo was a narrow gauge railway line that existed in British Ceylon from 1903 till 1948. The Uda Pussellawas region is also famous for rare wildlife and exotic plant species. It’s one of the montane areas where leopard still occur.